Welcome to Nathan Stevens', bit dated, homepage and project web site. Here you will find information on current software and science projects, both for work and fun. The title, "Molecules and Code", exemplifies my two areas of interest, nanotechnology/materials chemistry and software development. Fortunately, I have been able to combine these two areas into my projects. Past projects have involved the use of the sol-gel method to fabricate high quality inorganic/organic composite films doped with various organic dyes. 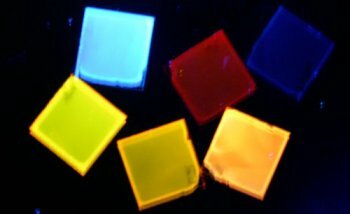 The targeted applications of these films are in the areas of non-linear optical switching devices and nanoscale optical sensors. 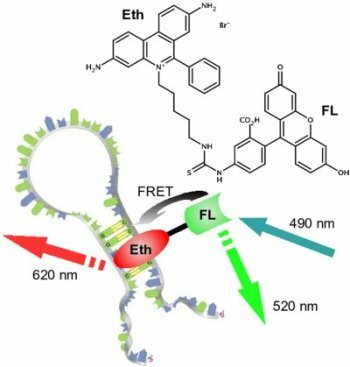 In addition, I have also worked on the developement of new fluorescent probes and techniques for the detection and in vivo imaging of RNA/DNA. My current research interest focuses on the use of computer algorithms for material composition and function optimization, in the areas of display materials, energy conversion, and sensors.